The 64th edition of Cannes Lions, the world’s most influential creativity festival, has ended. After 244 seminars and 6 award shows we are still thrilled about what we saw there. About 23 campaigns took home a total of 28 Grand Prix awards and others managed to get many Gold, Silver and Bronze Lions. 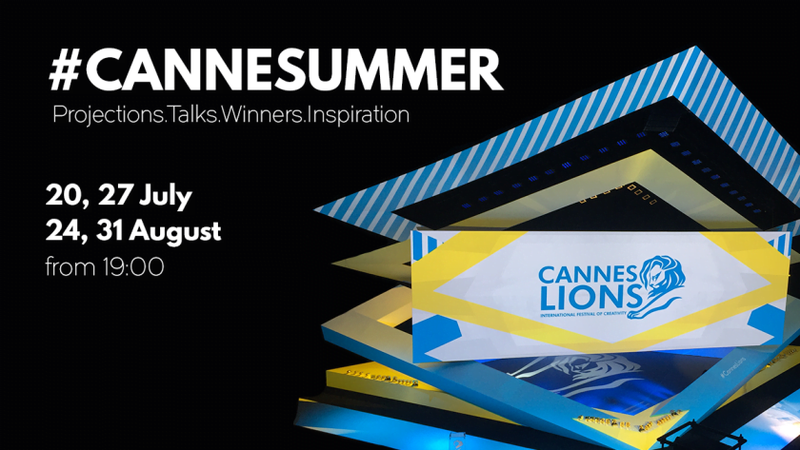 Cannes Lions Romania is hosting #CanneSummer events. The most interesting seminars, awards and conclusions will be presented in four key meetings over the summer. The Best of Droga 5, The Best of Forsman & Bodenfors, The Best of BBH and The Best of TBWA are the retrospectives of long-time legendary agencies that won in Cannes, which will be presented in the context of the same meetings. “Kevin Plank And David Droga: From Underdogs To Game-Changers”, “Data Is Meaningless! The Neuroscience Of Why” with Beau Lotto, “The Craft of Authenticity, In Conversation With Platon” sponsored by TBWA and “Adidas Originals: 101 Great Minds On Music Brands And Behavior “ are the four dialogues from Cannes scheduled to inspire the audience. They are dedicated to customers, brand managers, marketing people, those who are working in design, PR and digital and all creative souls. The four meetings will take place on 20, 27th of July & 24, 31th of August, from 19:00 PM at Rogalski Damaschin Public Relations. The fee is 75 E for all 4 meetings and 25 E for one meeting. The Alternative School graduates and the Romanian delegates at Cannes 2017 have special status.